The company showed off a new streaming service called Stadia that allows people to play high-end games without purchasing expensive consoles or computers. Google explained a bit how it will work. The company said that if someone is watching a video of a game on YouTube, they could hit a button that says "play now" and jump right into playing the game themselves in as fast as five seconds. Today, gamers have to buy physical games or wait, often hours, for the game to download before they can play. Even then, they also need special hardware to play those games. 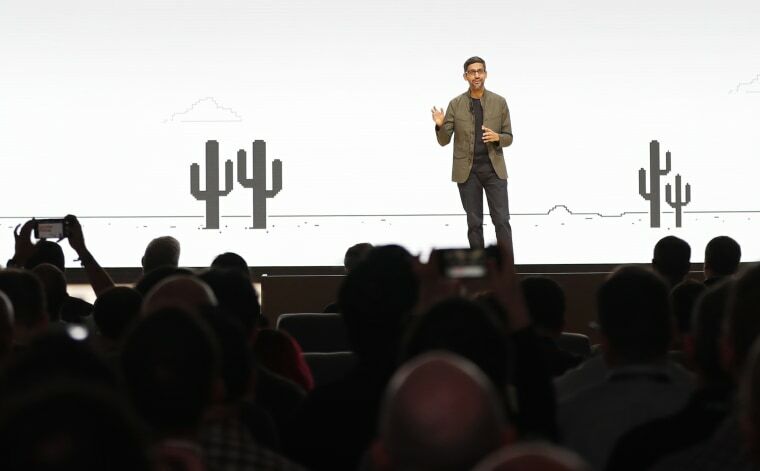 Google says Stadia will run on "any screen type" but it will work on desktops, laptops, TVs, tablets and phones at launch. There's no box at all. Google said it will support 4K games at 60fps with HDR but that, in the future, will support games up to 8K resolution. Most people don't yet own 8K TVs and only the most recent gaming consoles from Microsoft and Sony currently support 4K HDR gaming. Google needs game studios to build titles for Stadia. It says developers can build on its cloud or in their own studios. id Software is already building "Doom Eternal" for Stadia and demoed it on stage. Another developer, Tequila Studios, showed its game "Rime" running on the platform. But beyond that, there weren't many major game titles announced for the system. Google's biggest challenge will be to convince publishers to bring blockbuster games to the platform. "I'd favor Microsoft's chances given it too has the scale and technology but has been successfully engaged in the gaming industry via Windows and XBox for over 30 years," Patrick Moorhead, president and principal analyst at Moor Insights & Strategy told CNBC ahead of Google's event.